What do you mean you’re going back to work? I’ve been off for the past week and the pups have gotten quite used to my presence. They are in for a bit of a rude awakening today. 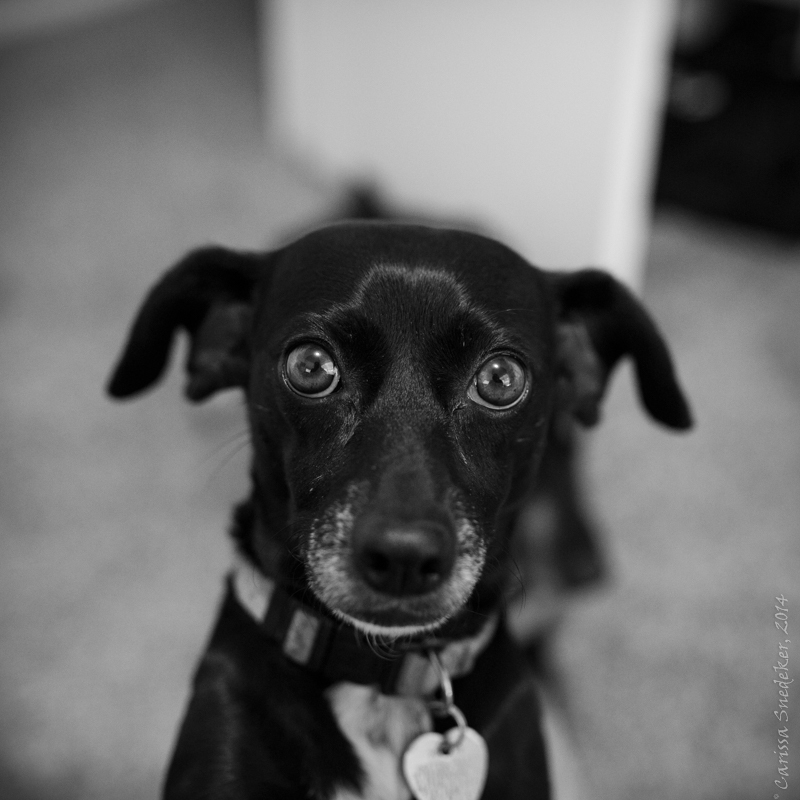 This entry was posted in Around the house, Black and White, Nina, Pet Photography, Pets and tagged black dog, dachshund mix, dog, dog stare, eyes, stare. Bookmark the permalink. She looks like this quite often. Got me wrapped around her little paw, she does! She knows how to lay it on, doesn’t she? My pride have definitely gotten used to me being around for the last couple of weeks. When I’m back to work on Monday I expect similar faces from four disappointed cats! This is my picture of the day, nothing could top it.